Be a member of the YMCA for the week! 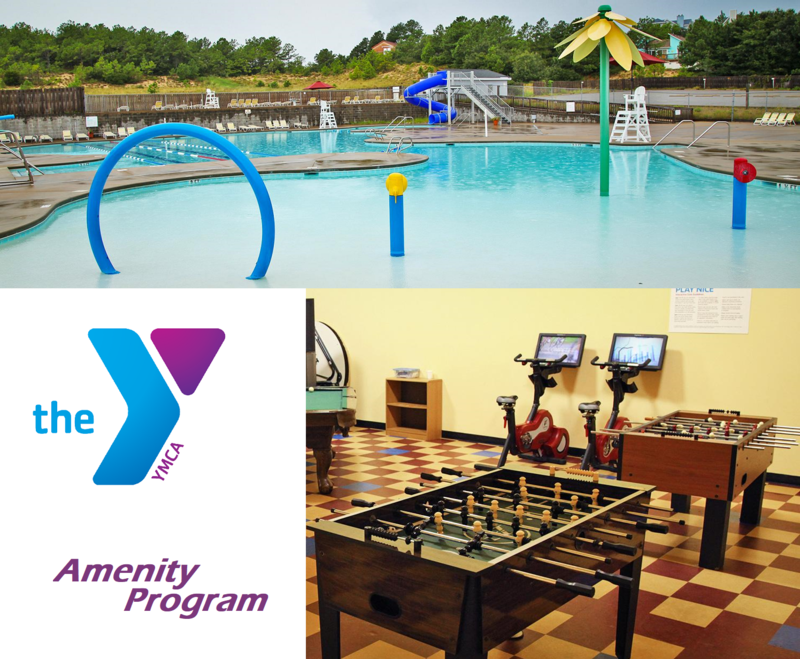 Guests staying at a property that includes a YMCA membership are entitled to the full Outer Banks YMCA experience! The Outer Banks YMCA is located at 3000 S. Croatan Hwy (also known as Milepost 11) in Nags Head. YMCA passes will be provided in each guest’s check-in packet or inside the property upon their arrival. While we know that visiting the YMCA may not be at the top of your list of “things to do” while here on the Outer Banks, staying at a YMCA membership property can turn a rainy day into one that creates unforgettable vacation memories! What's included in the Outer Banks YMCA Package? -Weight Room- the weight room is equipped with resistive weights, recumbent bikes, ellipticals, treadmills, rowing machine, and free weights. -Group Exercise Classes - exercise classes available include zumba, tone/sculpt, yoga, cycling, pilates, step, and kickboxing. Visit the Outer Banks Family YMCA's Website for more information.